Cimarron Memorial Spartans Graduated Yesterday! Congratulations kids. Here’s my vision of a Graduating Spartan I sketched while waiting for the ceremony to begin. He looks as though he’s seen 18 years of battle. The Spartans use this over-used character as a school mascot. There seems to be a limited pool of High School mascots available, since the companies that manufacture High School swag only create costumes, banners, logos etc for the mainstream Mascots. I doubt your high school mascot is a Snail or Inchworm. 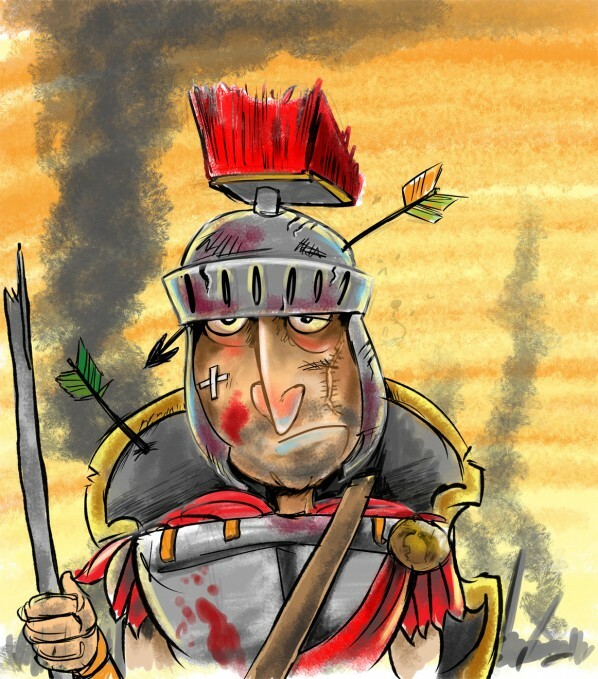 Inspiration: A cartoon Spartan warrior used as a high school mascot. The cartoon sketch memorializes High School graduation.